Dealing with clutter doesn't have to be difficult. 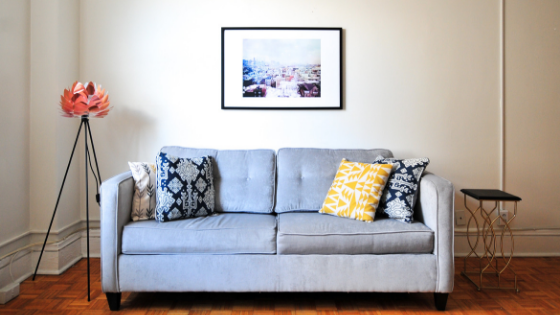 These tried and proven tips will help you not only get rid of clutter but also prevent it from accumulating in the first place. Set aside time to go through your belongings and get rid of items you no longer need or use. Spring and fall are ideal times to do this as you will likely already be using this time to pack clothes and accessories that you won't be using next season. January is yet another good time to de-clutter as you'll need to make room for items you received during the holiday season. If there are items you aren't sure about keeping or discarding, set them aside. If you don't use them for the next six months or a year, get rid of them. Create an easy-to-use storage system that suits your specific needs. Book lovers, for instance, may need to invest in an extra bookcase or a few wall shelves. If you need additional storage space for cleaning supplies, consider a handy bathroom storage trolley made to fit in a narrow space or a wall cabinet. Racks and hooks are often ideal for the kitchen, making it easy for you to hang pots, pans, towels and utensils so you can access them easily. Bed frame risers can enable you to store boxes, suitcases or plastic storage bins under your bed with ease. Cobble Square Lofts offers spacious studio, one-bedroom and two-bedroom apartments in Chicago, IL in various sizes and price points to suit your exact needs. Each apartment comes with generous closet space and a walk-in closet to make it easy for you to store important items with ease. Our apartment complex also offers a plethora of convenient amenities such as a beauty salon, 24-hour fitness center, grilling stations and a resident lounge along with convenient services such as on-site management, 24-hour emergency maintenance and email notification of package deliveries. Get in touch with us to learn more or to take a tour of the grounds at your convenience.